Closed position, Lead facing LOD. 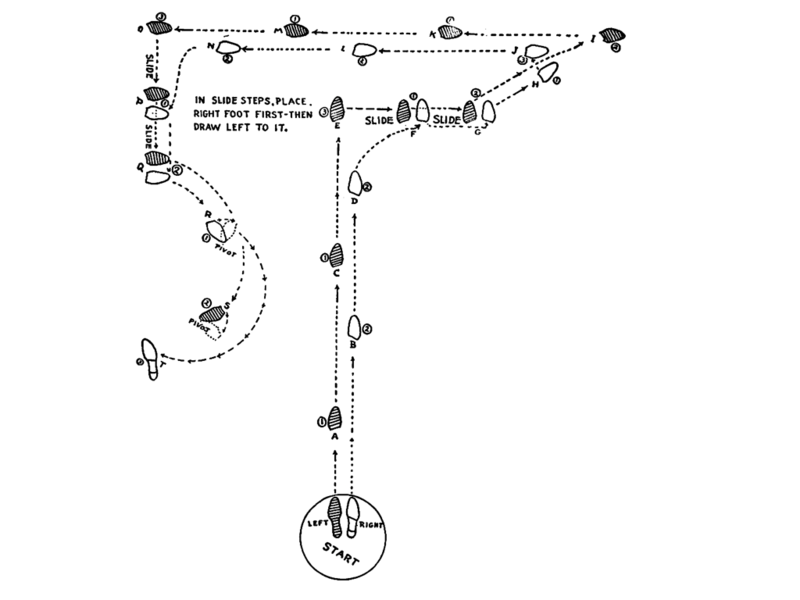 Part I - Forward: Back the Follow five steps in SSQQS timing. Part II - Chassé and Rocking Turn: Step side, close, side, close to outside wall, then step diagonally forward toward outside wall with right foot, rock diagonally forward toward outside wall with left foot, and rock back onto right foot (QQQQ, QQS). Part III - Back: Back the Lead five steps into the center of the room in SSQQS timing. Part IV - Chassé and Pivot: Step side, close, side, close against LOD, then pivot against LOD, Follow backing first, then Lead backing, and fall back against LOD (QQQQ, QQS). 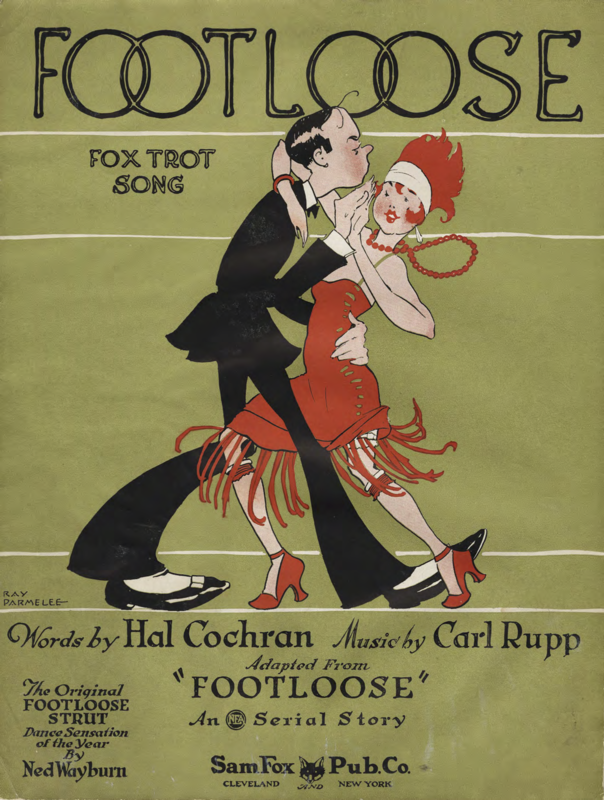 "Footloose" by Carl Rupp and Hal Cochran. Ned Wayburn. (1925). The Original Footloose Strut. Cleveland.